Employee theft has been around as long as there have been people employed. But the full scope of the issue has gained heightened awareness and tougher enforcement in the wake of the Great Recession. 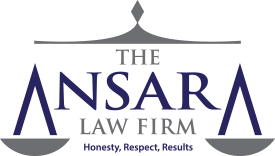 Theft defense lawyers in Fort Lauderdale at The Law Offices of Richard Ansara are committed to fighting for the rights of those accused of this very serious crime. The National White Collar Crime Center reports that employee theft – also known as embezzlement – accounts for losses of up to $90 billion annually. Retail employers alone report $18 billion in employee thefts – which is about $2.3 billion more than the cost of customer thefts. Increased 5 percent from 2012 to 2013. Although employee theft is generally thought of as a crime that takes place only in the upper echelons of business, it’s not just financial officers and bank executives. It’s just as commonly the retail store employee or the soccer mom. While most other crimes in Florida have been declining, embezzlement is on the rise, according to the Florida Department of Law Enforcement (FDLE). The agency reported that the total number of embezzlement arrests in the state in 2014 was 954 – a 0.4 percent change from 2013. Among juveniles, it shot up by 62 percent that year. Employee does so with intent to permanently or temporarily deprive the employer of the right to his or her property or to appropriate that property to the worker’s own use. Embezzlement can be classified as either “grand theft” or “petit theft,” depending on the amount of property that was stolen. Punishments for embezzlement in Florida vary greatly based on the value of property that was allegedly stolen. Where the amount of stolen property is more than $300 but less than $20,000, the charge is a third-degree felony, for which the punishment is up to five years in prison, 5 years of probation and a $5,000 fine. When the amount of stolen property is greater than $20,000 but less than $100,000, the charge is a second-degree felony, for which the maximum penalty is 15 years behind bars, 15 years of probation and a $10,000 fine. In cases where the amount equals or exceeds $100,000, employee theft is a first-degree felony, for which courts may impose up to 30 years in prison, 30 years of probation and a maximum fine of up to $10,000. Employees are placed in positions of trust, which means they can cause serious economic harm to their employer. Employers often insist on harsh penalties to send a strict “zero tolerance” message to other workers. Embezzlement often involves much larger losses than typical theft, due to the fact that workers have such easy access to money. Myriad of aggravating and mitigating factors involved in the individual case. Incorrect amount of loss/ value of items (affecting the severity of the charge). If you have been arrested for employee theft, contact us today to learn more about how we can help. If you have been charged with a theft crime South Florida, contact the Fort Lauderdale Criminal Defense Lawyers at The Law Offices of Richard Ansara by calling (877) 277-3780.